The sun shone, the wind blew, and they came in their thousands to visit the 15-hectare site of the 2018 National Diesel Dirt & Turf Expo in Sydney. 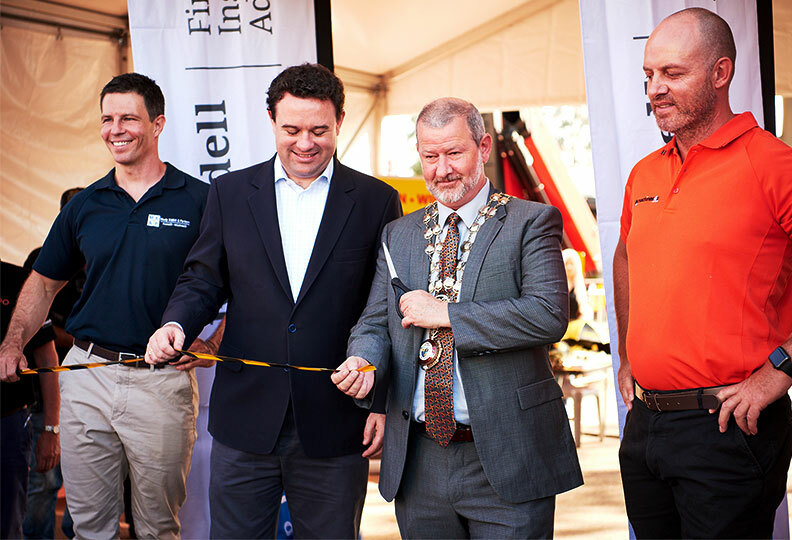 The huge attendance of 76,300 people smashed previous years’ attendance by a whopping 75 percent, firmly establishing this annual event as the prime focus of Australia’s earthmoving industry. More than 200 exhibitors representing every facet of the Australian earthmoving industry reported excellent sales throughout the Expo, together with enquiries and leads that will keep sales teams busy for months to come. Each year, exhibitors put increasing efforts into building attractive displays, and this year was no exception when it came to attracting buyers onto indoor and outdoor stands. 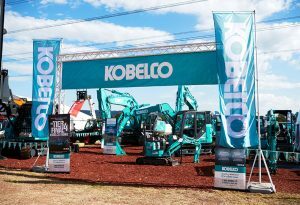 Kinshofer took off the award for the Best Small Stand, while Kobelco was awarded Best Medium Stand. Always innovative, the award of Best Large Stand was Boss Attachments, who also took out the Australian Earthmoving Magazine Award and a $7,000 advertising prize for the Best Stand at the Expo. Indoor exhibitors were also outstanding with the award for the Best Indoor Stand going the Penrith Motorcycle Centre. 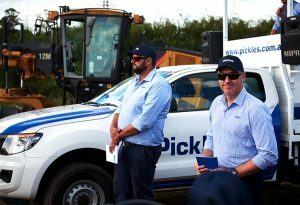 The Pickles auction has become a popular part of Diesel Dirt& Turf and this year there was a huge range of gear on offer. Three hundred bidders made the auction a great success, with a ninety percent clearance rate delivering over two million dollars in sales. A feature of the Expo is an annual award for the Best New Product, with the 2018 winner being HMS for its amazing remote-controlled fire-fighting robot. Popular with contractors and visitors is the annual “Operator’s Challenge” where the winners can prove their skills by receiving a prestigious trophy and lucrative cash prizes. The popular ASV Positrack Challenge was won by Luke Burgmann of Romba Turf. The excavator challenge was run by Takeuchi and the overall winner was Gavin O’Reilly. Expo CEO Steve Zivkovich said the role played by sponsors was a key factor in building the success of the National Diesel Dirt & Turf Expo. “This year’s gold sponsor Moody Kiddell & Partners and gold media sponsor Machines4U did a fantastic job in promoting the Expo and reflects the wonderful industry spirit in working as a team for the promotion of the entire earthmoving industry. 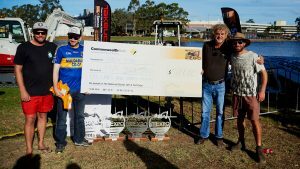 “Sponsorship delivers mutual benefits and we are particularly grateful for the contribution and promotional effort by our other sponsors Pickles, Auger Torque, Kinshofer, Epiroc, Hydraulic Steels Australia, Norm Engineering, Toro, Australian Earthmoving magazine and Earthmoving Equipment magazine.” Steve said. The dates for the 2019 National Diesel Dirt & Turf Expo will be announced shortly. 0 Comments on "2018 Diesel Dirt & Turf Expo Hits New Heights"